LG sent us an invite for its Optimus-related digital press conference on September 14th, which will be simultaneously reaching journalists worldwide. On the teaser for the event that it sent, there is a silhouette of a gadget, which resembles the Optimus Pad Android tablet leaked a few days ago all over the blogosphere, and a "Coming Soon" title. The event is slated to unveil two new devices, though, so we might be treated to one of the five smartphones LG plans to unveil by year-end, running Windows Phone 7. 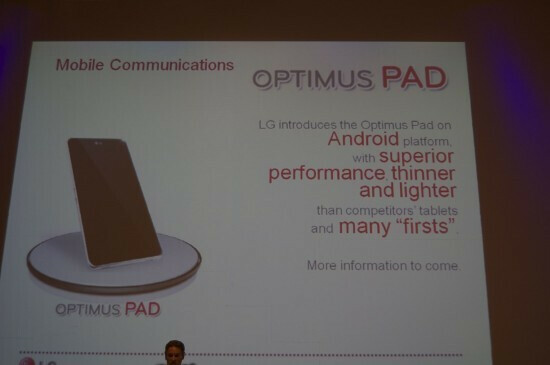 Or a high-end Android handset from the Optimus line from the 20 Android phones LG said it will make this year. As for the tablet, it will most probably be NVIDIA Tegra based, and give the Toshiba Folio 100 a chipset competitor. 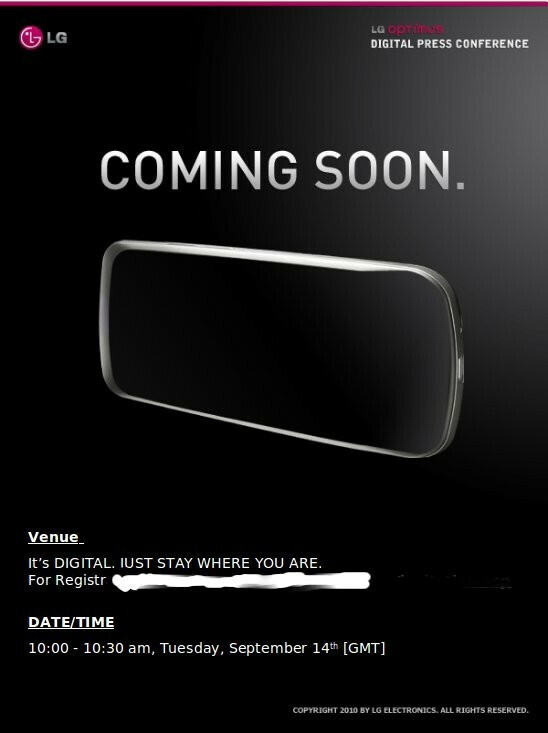 We are counting the days to LG's event, there are just not enough Android tablets these days. We will be updating you live from the event. that would be an event i love to go too.